Located in the Louisville Metro area, Floyd County has convenient access to 2 airports and a large shipping port on the Ohio River. Floyd County is the second smallest county by area, and is home to 3 towns (Floyds Knobs, Georgetown and Greenville) and 1 city (New Albany). Fun fact: Floyds Knobs gets its unique name from the “knobs”, or steep hills, that are the dominant geographic features in the area. As of 2014, the population of Floyd County was 76,179 – 7.9% of which are veterans. The median value of homes in Floyd County is $152,800 and median gross rent is $728. 88.4% of residents are high school graduates or higher; 24.3% have a bachelor’s degree or higher. Floyd County residents travel an average of 22.6 minutes to work every day. Transplants to the area often purchase a home in Southern Indiana if they work in Louisville because of lower housing costs. Median household income is approximately $53,431. 11.6% of residents are below the poverty line. Job growth is higher and cost of living is lower than the U.S. average, which makes this area ideal to purchase property. Click on the links below to read more information about Floyd County, Indiana! 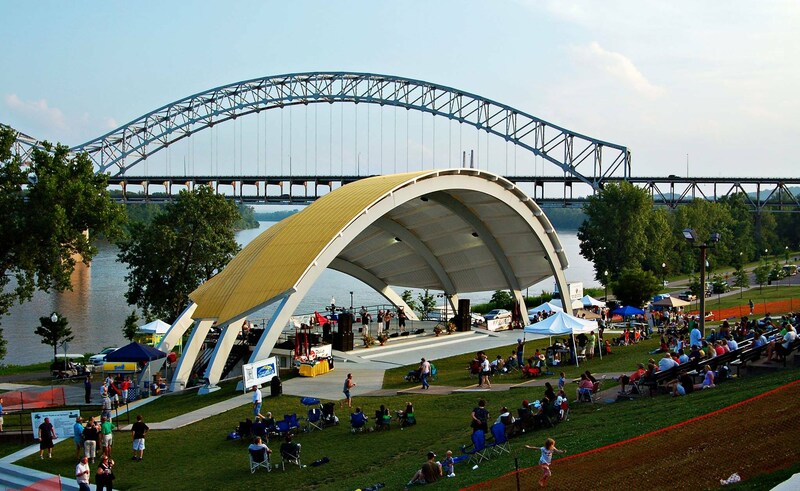 For other Floyd County events, visit The Sunny Side of Louisville!